Get a black plastic refuse sack, split it along two edges and use it to cover your windscreen. Pin it in place by trapping it in the doors and with the windscreen wipers. Then when you need to get going in the morning, you won’t have to de-ice your windscreen. Simply whip the bag off, stash it in the boot or under the passenger seat and assuming the other windows are ice-free, you’re ready to go. Conditioned air is dry air. And the dryer the air, the less likely it is to cause steaming up inside the car. So rather than using an old rag to wipe the inside of your windscreen, use the air-con. If you set it to recirculate, it’ll demist the car even faster. Tyres are the one connection your car has with the road. The closer they’re inflated to the manufacturer’s suggested pressures, the more likely they are to work efficiently. Check the tyres’ tread depth too. The legal minimum is 1.6mm but tyre makers and safety experts recommend that you consider changing your tyres when the tread is down to 3mm as falling below that has a significant impact on stopping distances on all surfaces, particularly slippery ones. It’s OK, the road’s been gritted you might be thinking to yourself. But did you know that below minus 9 degrees Celsius grit stops working? 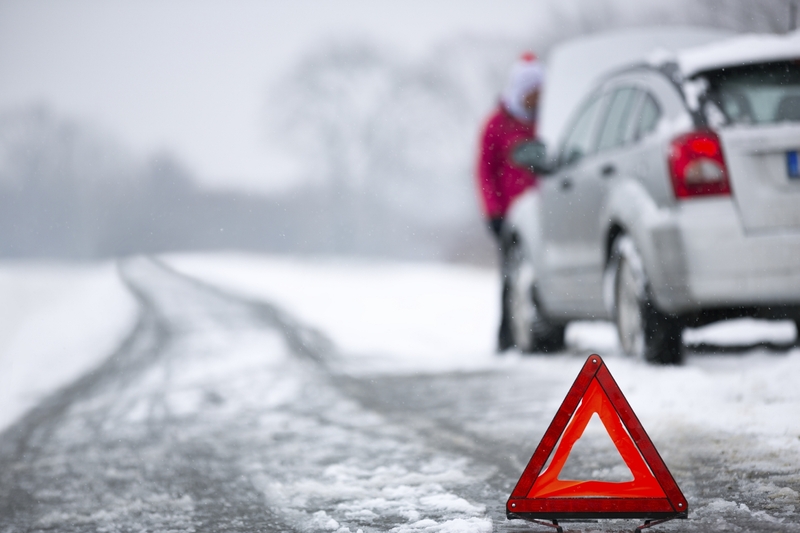 So in extreme cold conditions gritting will have no effect on how your tyres grip the road surface. It’s tempting to pour hot water on an icy windscreen. But it only takes a minor blemish in the screen’s surface to cause sufficient weakness for the rapid temperature change caused by boiling water to make the windscreen crack. Another temptation in extreme cold is to use your windscreen wipers to de-ice the windows. Don’t. First it takes ages to work. Second the abrasive surface of the ice will wear the wipers out. Third, if the wipers are stuck to the frozen screen, turning them on will strain the motor and could rip your wiper blades. The third icy temptation is to open your car, turn the engine on and then disappear into the house for a nice cup of tea while the heating warms the inside of the car and causes the ice on the windows to melt. It only takes one opportunistic thief to come along, jump in and drive away and you’ll have lost your car. You’re also unlikely to get an insurance pay out as you weren’t taking due care of one of your most precious assets. You might not need sturdy boots or a warm coat in the office. But on the way to and from it you will if for whatever reason you have to abandon your car and walk. A suit jacket or high heels might look smart but they’re next to useless if you need to walk any distance on a snowy road. The term Blue Monday was coined in 2005 by an academic. That’s because by the third Monday of the New Year, a combination of factors has come together to make people feel miserable. The weather is usually dreadful; the feelgood factor from the Christmas holidays is a distant memory; people are realising their debts are bigger than they thought; and they’re feeling guilty over abandoned New Year’s resolutions. However, research over the past few years using the analysis of tweets relating to guilt shows that it isn’t just mumbo jumbo. Blue Monday is also the most popular day of the year for starting divorce proceedings.